Elizabeth Chai Vasarhelyi and Jimmy Chin accept the award of best documentary feature for “Free Solo” at the 91st Academy Awards on Sunday, February 24. If you haven't seen or heard of it. 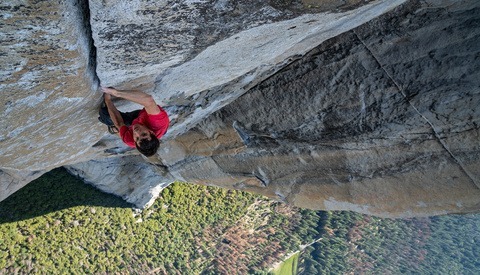 The now Oscar-winning film “Free Solo” documents professional climber Alex Honnold as he climbs the near 3,000-foot face of El Capitan without the use of ropes and safety equipment. Filmed and produced by the same team of Vasarhelyi and Chin who previously made the award-winning documentary “Meru” which captured Chin and his team's first ascent of Meru peak in the Himalayas. Fstoppers has several great articles covering “Free Solo” and the many dangers and moral responsibilities the filmmakers faced. However, if you're interested in learning more about what when into making the film check out writer Brian Pernicone's interview with Chin: “The Razor-Thin Line Between Triumph and Death.” It's an amazing read that really gets deep into the details and emotions of what it takes to document an achievement like this. 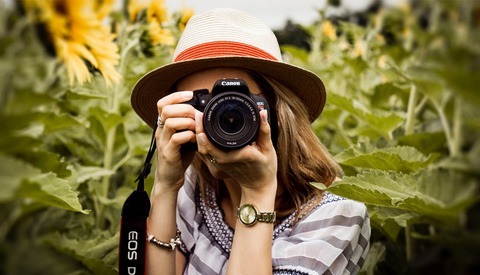 It's amazing to watch as Chin's photography career has evolved ever higher. Getting to attend some of his lectures and hear about how he got his start and the different paths he has taken along the way is some of the most inspiring talks I have attended. As an adventure photographer and a climber myself, his work has always been on my radar but I think just about any photographer and cinematographer can learn and be inspired by Chin's journey. I can not wait to see just what his team will produce next. Michael DeStefano is a photographer and retoucher based in Boston, Ma. He is currently focusing his time on adventure and lifestyle photography bringing his passion for outdoor life into his work. When not traveling or outdoors he is often found geeking out over new tech gadgets. Is the Osprey Transporter Duffel Bag the Best Wheeled Non-Camera Gear Bag? A well deserved win! One of the only films I watched in theaters in 2018. As the filmmakers have said in many interviews, it's a character study more than it's a climbing film. I highly recommend it to anyone with even a passing interest in climbing or outdoors sports. It was striking to me how even the last 5 years of technology made the cinematography in this film. Comparing Free Solo to the 60 Minutes special on Honnold's half dome climb is a massive step up. Admittedly there was likely a budget difference there as well. But putting drones and lightweight but high quality 4K capable cameras in Chin and Vasarhelyi's toolkit paid off massively. heal from broken heart" Love spell from dr.Unity brought my husband back"contact Unityspelltemple@gmail.com to help you get your Ex lover back urgently after breakup/divorce"
After 12years of marriage, me and my husband has been into one quarrel or the other until he finally left me and moved to California to be with another woman. I felt my life was over and my kids thought they would never see their father again. i tried to be strong just for the kids but i could not control the pains that torments my heart, my heart was filled with sorrows and pains because i was really in love with my husband. Every day and night i think of him and always wish he could come back to me, I was really worried and i needed help, so i searched for help online and I came across a website that suggested that Dr Unity can help get ex back fast. So, I felt I should give him a try. I contacted him and he told me what to do and i did it then he did a Love spell for me. 11hours later, my husband really called me and told me that he miss me and the kids so much, So Amazing!! So that was how he came back that same day,with lots of love and joy,and he apologized for his mistake,and for the pain he caused me and the kids. Then from that day,our Marriage was now stronger than how it were before, All thanks to Dr Unity. he is so powerful and i decided to share my story on the internet that Dr.Unity is real spell caster who i will always pray to live long to help his children in the time of trouble, if you are here and you need your ex lover back or save your marriage fast. Do not cry anymore, contact this powerful spell caster Dr.Unity now. Here’s his contact: Call/WhatsApp him: +2348071622464 ,Email him at: Unityspelltemple@gmail.com , Website:https://unityspelltemples.blogspot.com ,Your kindness will never be forgotten.